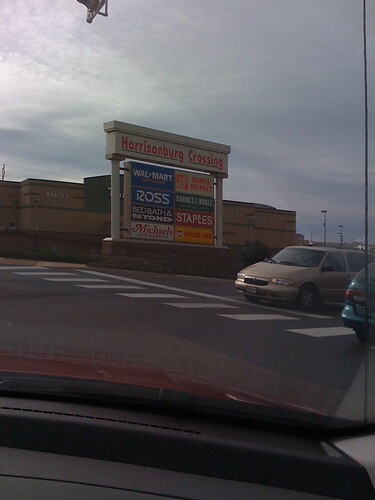 Circuit City | That Mall is sick and that Store is dead! 4 REASONS WHY CIRCUIT CITY KILLED THEMSELVES – YouTube. 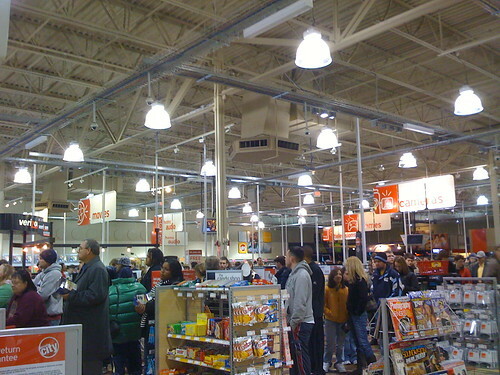 brands-we-loved-and-lost-in-2009: Personal Finance News from Yahoo! Finance. 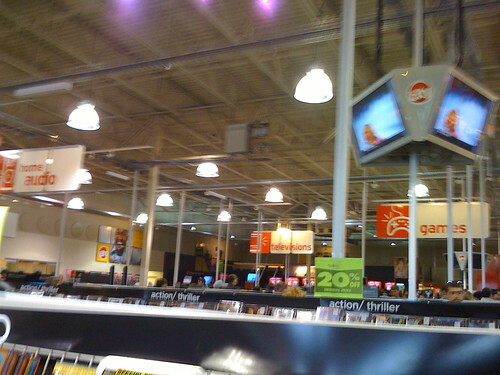 I bought my first DVD here in 2003. Strangers With Candy Season 1. 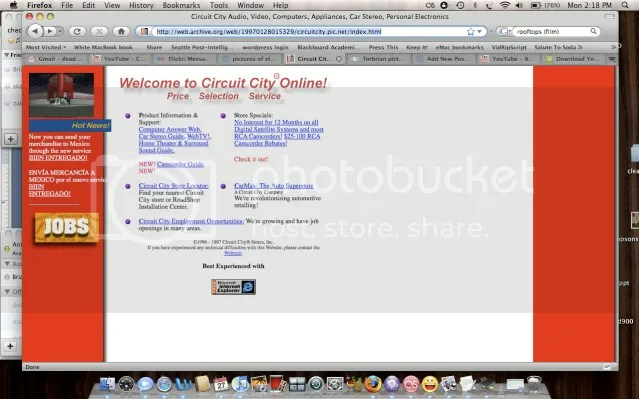 Oh, wow you haven’t lived until you’ve seen the Circuit City webpage from 1996. You guize, the store locator is totally done in Microsoft FrontPage. Now, FrontPage is fine for a personal webpage, or your Daily Show fan page, but for a company? Even in 1996? 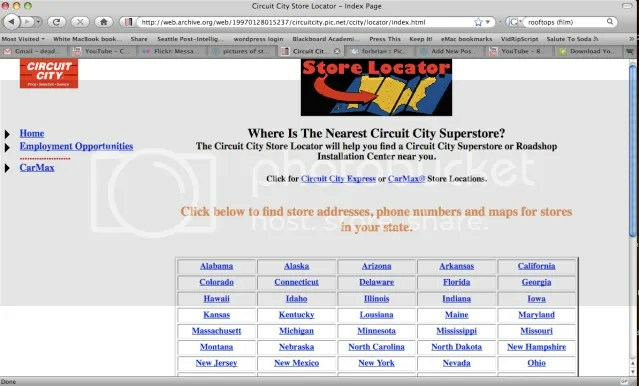 The generic “store locator” graphic is totally made in mid 1990’s colors. I also like that the site has the new feature of sending things to Mexico. Bankrupt Circuit City Stores Inc., the nation’s second-biggest consumer electronics retailer, said Friday it failed to find a buyer and will liquidate its 567 U.S. stores. The closures could send another 30,000 people into the ranks of the unemployed. Other recent casualties include KB Toys, which filed for bankruptcy in December and is liquidating stores. Department store chains Goody’s Family Clothing and Gottschalks Inc. both filed for bankruptcy this week — Goody’s plans to liquidate, while Gottschalks hopes to reorganize. Circuit City said in court papers it has appointed Great American Group LLC, Hudson Capital Partners LLC, SB Capital Group LLC and Tiger Capital Group LLC as liquidators. “Regrettably for the more than 30,000 employees of Circuit City and our loyal customers, we were unable to reach an agreement with our creditors and lenders,” Marcum said. Shareholders are likely to receive nothing, as is typical in bankruptcy cases. It was unclear what would happen to the company’s 765 retail stores and dealer outlets in Canada. Wurtzel has previously said Circuit City didn’t take the threat of rival Best Buy Co. seriously enough and, at some points, were too focused on making a profit in the short term instead of building long-term value. Circuit City filed for Chapter 11 bankruptcy protection in November as vendors started to restrict the flow of merchandise ahead of the busy holiday shopping season. It had been exploring strategic alternatives since May, when it opened its books to Blockbuster Inc. The Dallas-based movie-rental chain made a takeover bid of more than $1 billion with plans to create a 9,300-store chain to sell electronic gadgets and rent movies and games. Blockbuster withdrew the bid in July because of market conditions. Circuit City, which said it had $3.4 billion in assets and $2.32 billion in liabilities as of Aug. 31, said in its initial filings that it planned to emerge from court protection in the first half of this year. 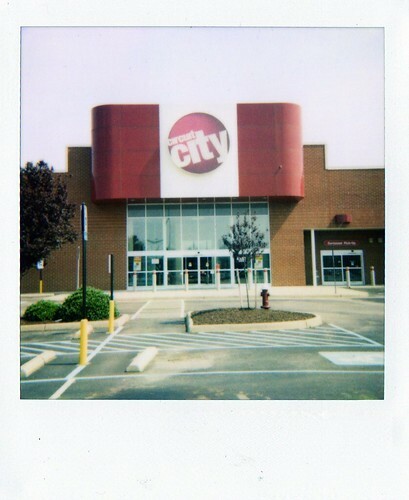 Under court protection, Circuit City has broken 150 leases at locations where it no longer operates stores. The company already closed 155 stores in the U.S. in November and December. U.S. Bankruptcy Judge Kevin Huennekens had given the company permission to liquidate if a buyout was not achieved. The company still needs final approval of a liquidation from the court. The liquidation is the latest big blow to the nation’s malls, which have suffered from a rise in vacancies as a slew of chains from Mervyns LLC to Linens ‘N Things have liquidated. 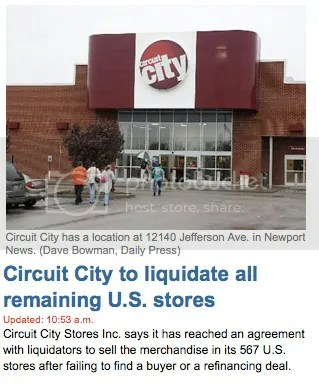 But analysts say that the demise of Circuit City, whose stores range in size from 20,000 to 25,000 square feet, will hurt the fortunes of mall operators even more. 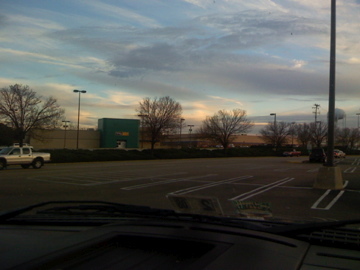 Hampton Roads has five Circuit City stores: Janaf Shopping Center in Norfolk; the Greenbrier area in Chesapeake; Portsmouth Boulevard near Chesapeake Square Mall in Chesapeake; South Independence Boulevard near Town Center in Virginia Beach; and the Oyster Point area in Newport News. Dead Circuit City, Colonial Heights, VA. 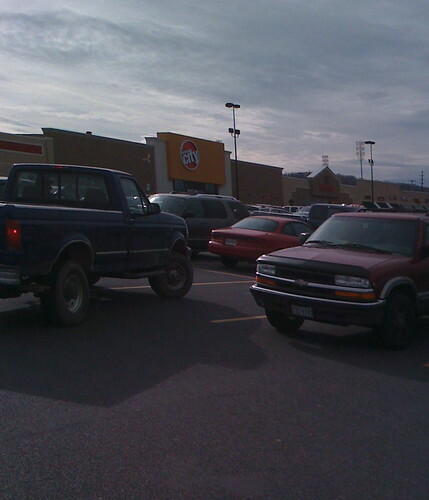 I took this picture in December of 2007, and forgot to make an entry about it here. I don’t know how long its been closed.